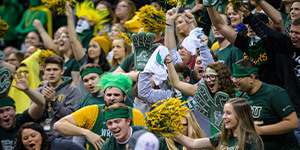 At Wright State University, we see the potential in you. Named for the Wright brothers, we continue their pioneering spirit by helping every student achieve their dreams. Enjoy a quality education at one of the lowest tuition rates in Ohio. Last year, we awarded more than $29.7 million in need- and merit-based scholarships, and many of our students qualify for financial aid. 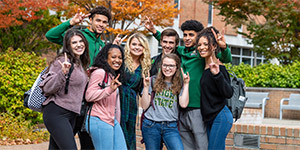 Located 12 miles northeast of downtown Dayton, Ohio, we are a regionally accredited state university with an impressive range of programs to fit your needs and career goals. We offer more than 100 undergraduate programs and 145 graduate, master’s, doctoral, and professional programs. Many of our degree programs prepare you for professional licensure, certifications, and entrance exams in careers like medicine, nursing, teaching, finance, and nonprofit management. Our Accounting and Engineering programs allow you to earn a master’s degree in just five years. Our award-winning faculty bring years of experience—they are doing research in cutting-edge fields, making new discoveries that are improving the world around us, and collaborating with corporations, businesses, and organizations to create new jobs and provide qualified graduates for the workforce. Academic success isn’t limited to the classroom. Many of our students are earning top honors in some of the nation’s most prestigious competitions, including the National Model United Nations team. We have more than 190 student organizations where you can develop leadership skills that will benefit you throughout your life. 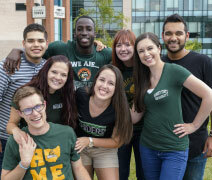 Last year, more than 17,000 students chose Wright State. Come and see why!